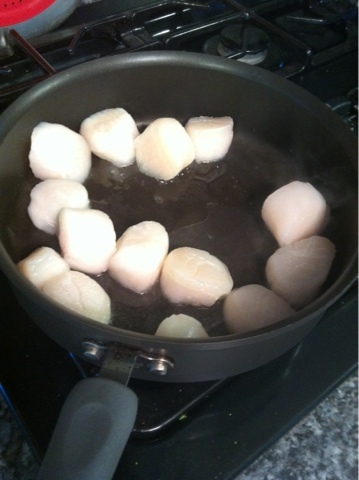 Daily Adventures of the SAHM: Thai scallops. My husband thinks I'm a master chef. Thai scallops. My husband thinks I'm a master chef. My husband's birthday was a few weeks ago and he made two requests: key lime pie from scratch and this insanely simple Thai scallops recipe that he adores. I think he truly believes I slave away all day in the kitchen to make this for him, and the reality is that its maybe 15 minutes, max. Bonus: it's not that bad for you. 1/2 cup reduced-sodium soy sauce. Kikoman, yo. 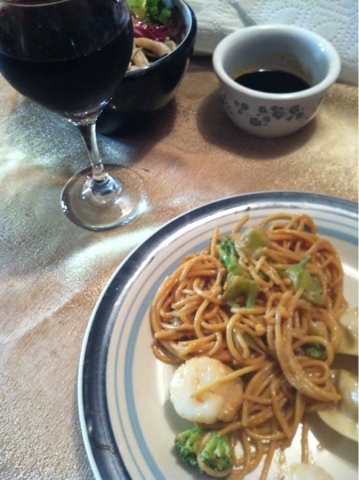 While cooking spaghetti, saute the scallops or shrimp until half cooked. 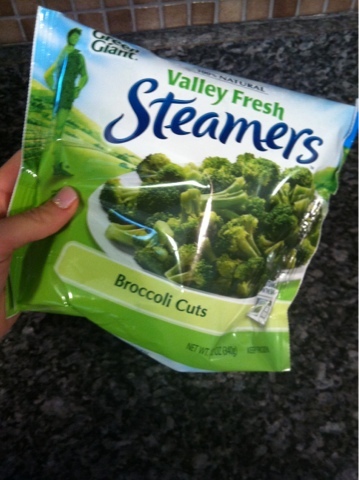 Add scallops and broccoli during last four minutes of noodles boiling!! 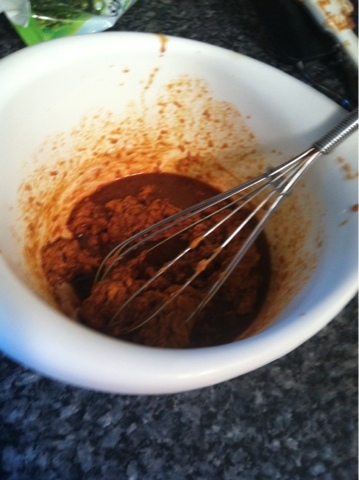 Meanwhile, in a small bowl, whisk together peanut butter, soy sauce, vinegar and Sriracha until smoothish. If you like stuff spicy, add more Sriracha but just remember that you can always add more on top. You can't take away. Drain spaghetti mixture; return to saucepan. Add peanut goo and toss gently. Sprinkle with peanuts. Win awards for your apparently amazing Thai cooking. That's it. Seriously. When I say 15 minutes, it's because part of those 15 minutes are spent opening a bottle of Merlot, chugging half of it, pouring another glass and pretending to sip it casually while whisking together the peanut butter goo. Jake would love this...I'm seriously making it next week! Be on hand in case I have any questions!